Terry Gilliam was running late for yesterday’s press roundtable, and neither I nor the other journalists in attendance would’ve preferred it any other way. After all, the delays that routinely plague Gilliam’s films have only increased public interest in them, and though opinions on his recent pictures may vary, I’d argue that they are always worth the wait. 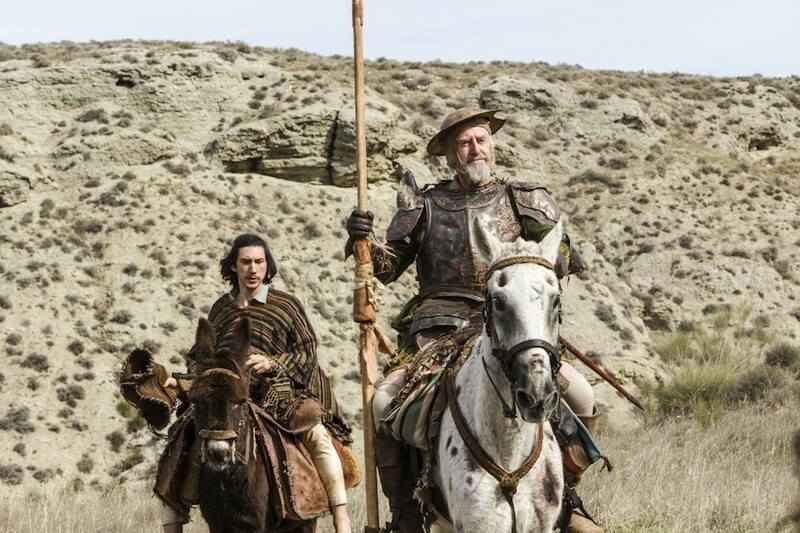 That is certainly the case with “The Man Who Killed Don Quixote,” which opens today in the Czech Republic after premiering last night to a rapturous response at the Karlovy Vary International Film Festival. Though the film was trashed by many critics at Cannes, the audience at KVIFF loved Gilliam’s slapstick-laden riff on the classic Miguel de Cervantes tale. I found plenty to enjoy in the film, and though not all of it works, there is enough genius on display to make me yearn for an eventual U.S. release. As soon as Gilliam entered the room for our scheduled interview, his childlike exuberance proved to be infectious. With a high-pitched cackle, he opened the conversation by recalling an appearance he made on a Texas radio station during the “Brazil” publicity tour. A gentlemen phoned in and said, “Aw, Mr. Gilliam, I saw your film, ‘Brazil.’ Wonderful film, Mr. Brazil. I giggled in awe.” That’s what Gilliam wants on his tombstone: “He Giggled In Awe.” When asked whether he still considers himself a member of Monty Python, Gilliam replied, “I dunno, I’m a black lesbian first.” Yet his answers were not comprised entirely of quips, such as when he reflected on the parallels between himself and Don Quixote. Gilliam’s filmmaking career began with creating the animated sequences for “Monty Python’s Flying Circus,” and though he has been approached by Laika, the studio behind “Coraline” and “ParaNorman,” to make an animated feature, he no longer has the patience for that sort of undertaking. Though his first interest had always been visuals, he was struck by how the reviews for “Brazil” barely mentioned its lead actor, Jonathan Pryce, at all, opting to focus solely on the look of the film. It took a while for critics to notice the filmmaker’s skill with actors, and Gilliam admits that he will now “sacrifice a visual thing for a good moment of acting,” something he wasn’t as willing to do early in his career. One of the most impressive instances of Gilliam casting against type was when he chose Brad Pitt to play the deranged Jeffrey in “12 Monkeys,” a role that went on to earn the actor his first Oscar nomination. 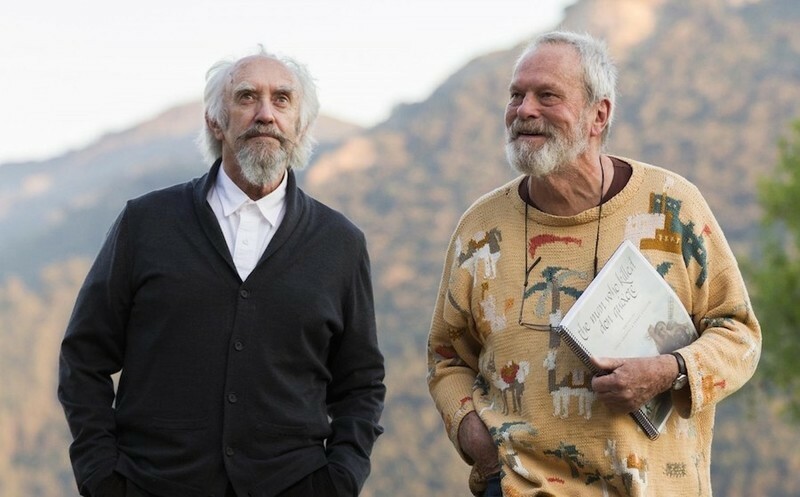 In many ways, “The Man Who Killed Don Quixote” carries echoes of Gilliam’s best film, 1991’s “The Fisher King,” starring Jeff Bridges as a disgraced DJ who befriends a homeless man (Robin Williams) whose life he unknowingly ruined. Both pictures are about a cynical jerk who undergoes a spiritual transformation after becoming engulfed in the fantastical world of a delusional outcast. Only gradually do we realize that the outcast’s delusions were indirectly fueled by the jerk’s carelessness. 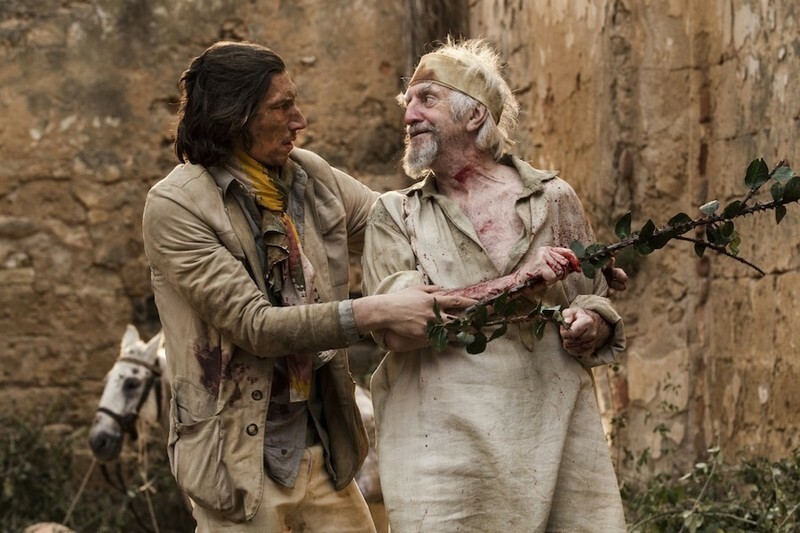 In the case of “Quixote,” the jerk is Toby, an ad executive played by Adam Driver, who encounters a man (Jonathan Pryce) he once cast as Don Quixote for a student film. Not only does the man now believe he is Don Quixote, he’s also convinced that Toby is his long lost Sancho Panza. Gilliam considers the film to be as emotional as “The Fisher King,” a picture he holds close to his heart. My favorite scene in “The Fisher King” is an indelible example of the “recreated reality” that reverberates throughout Gilliam’s filmography. When delivering a telegram to Robin’s crush (Amanda Plummer), a homeless cabaret singer (Michael Jeter) transforms a drab office into a Vegas stage, belting out the words with all the bravado of Ethel Merman. It is hilarious, exhilarating and utterly joyous. Plummer’s double take upon first seeing Jeter is also one for the ages. The most depressing thing about the movie business, according to Gilliam, is the need for bankability that necessitates the involvement of marquee names, some of whom may simply be a flavor of the month. Driver has made quite a few films since his career exploded courtesy of HBO’s “Girls,” yet there are notes he hits in “Quixote” that I never would’ve expected from him, particularly when he delivers an impromptu performance of Eddie Cantor’s hit tune, “If You Knew Susie.” The actor’s work has surprised everyone, including the director. Prior to heading to yesterday’s interview, I heard about the passing of Derrick O’Connor, the Irish character actor who appeared in three Gilliam pictures: “Jabberwocky,” “Time Bandits” and “Brazil.” O’Connor reportedly died of pneumonia on June 29th. As is often the case with roundtable conversations, the topics varied widely and in a random order, though Gilliam tackled each of them with his trademark candor. When asked if he still stands by his past statement that “our system needs terrorists,” the filmmaker did not beat around the bush. Accompanying Gilliam at yesterday’s premiere was Joana Ribeiro, the actress cast as Toby’s love interest, who serves as the Dulciniea of the piece. The filmmaker applauded Ribeiro for making comments that would likely be frowned upon in the era of #MeToo. Upon being asked what he’s admired onscreen in recent years, Gilliam’s first response was “Breaking Bad,” though he came up with a couple movie titles as well. Though Gilliam has famously criticized Steven Spielberg in the past, he did give one of the blockbuster helmer’s titles a favorable shout-out (hint: it involves a shark) when prodded on his thoughts regarding the “Alien” franchise, which had previously sought him out. No matter how much Gilliam adores the realm of fantasy, he insists that narratives bereft of reality do not hold his interest.